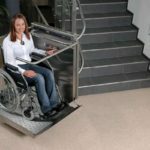 The class redefining PLK8 from Ascendor – is in our opinion THE best platform stairlift available today. 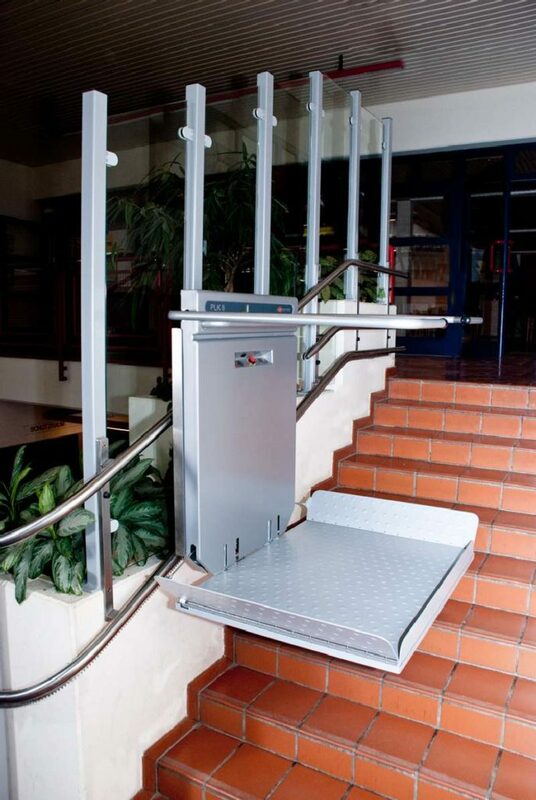 The PLK8 proves that it is possible to combine elegance and functionality. 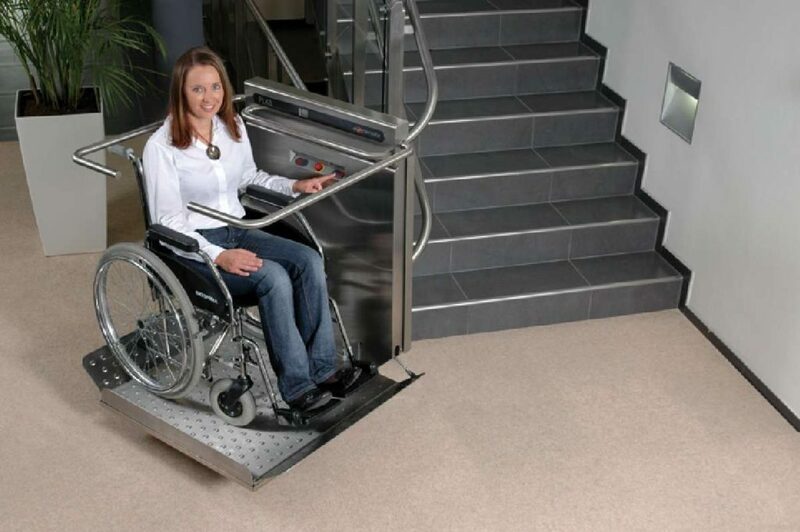 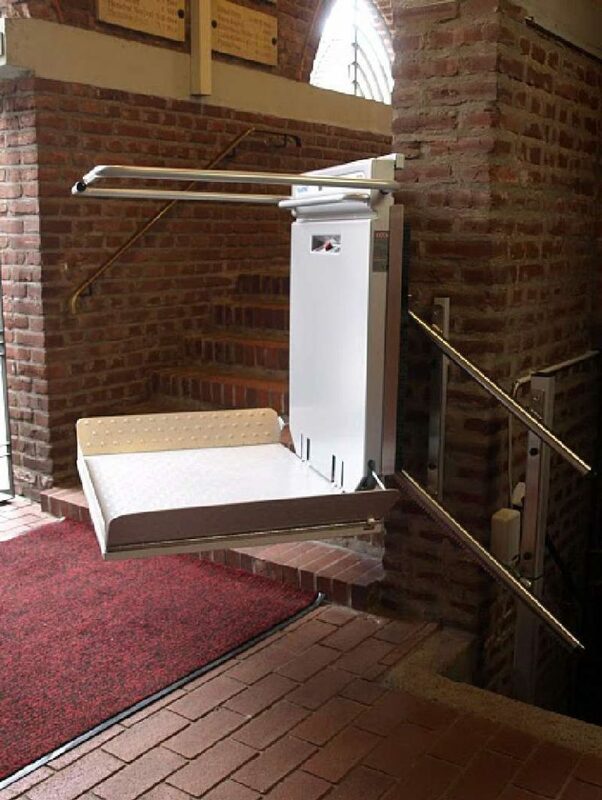 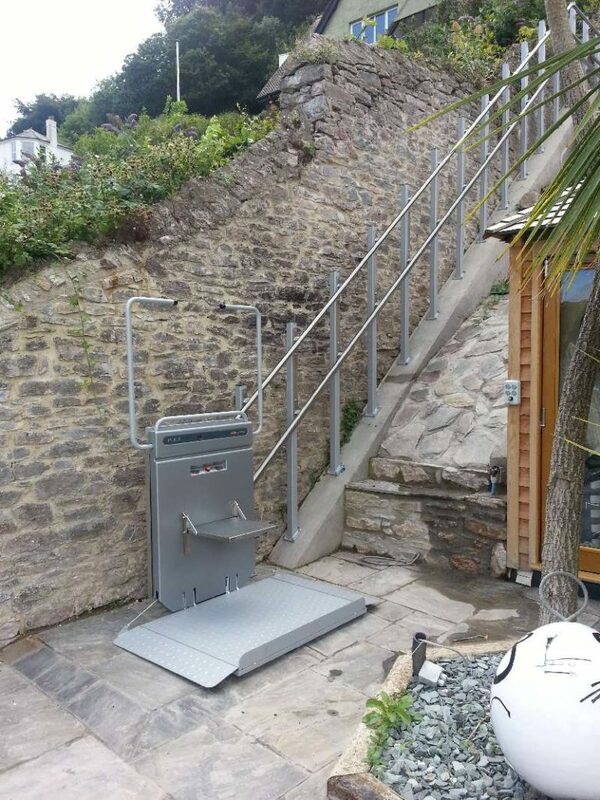 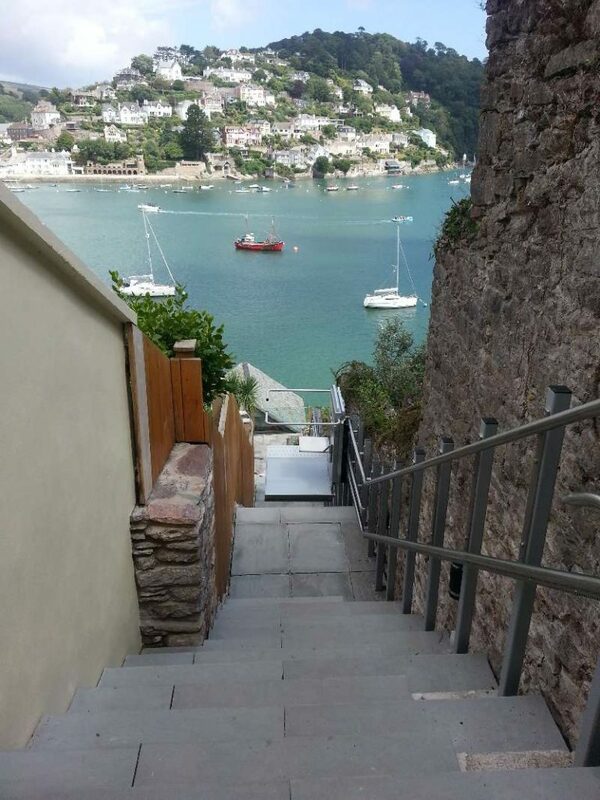 The PLK8 platform stairlift can turn through positive or negative bends and can cope with changes in gradient. 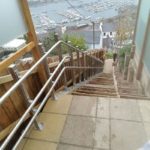 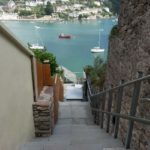 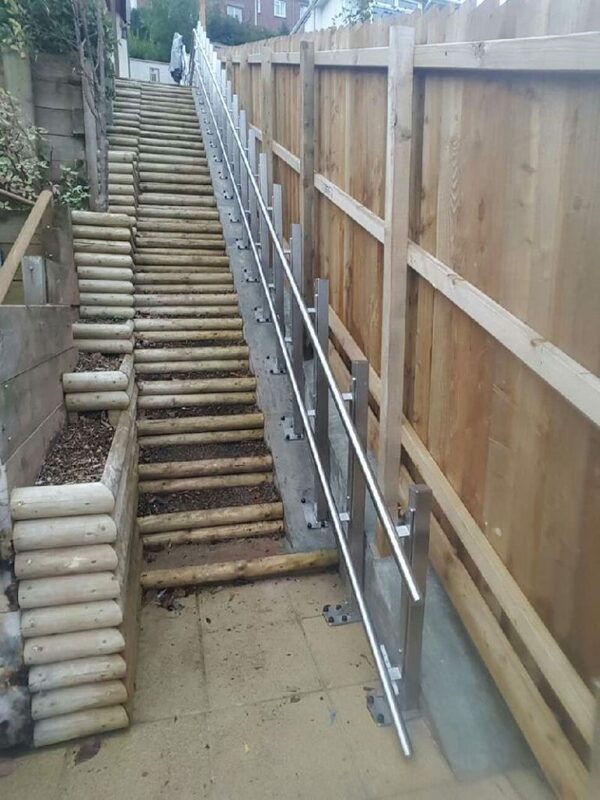 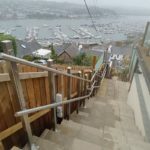 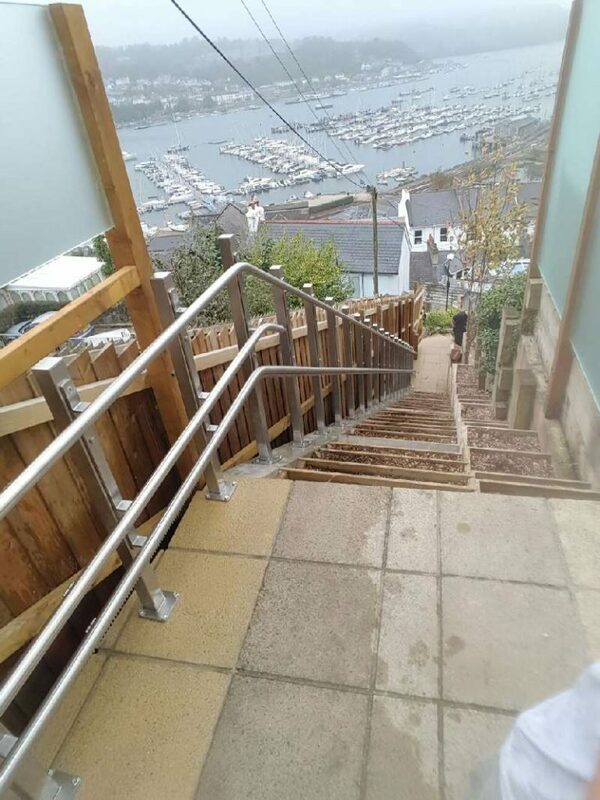 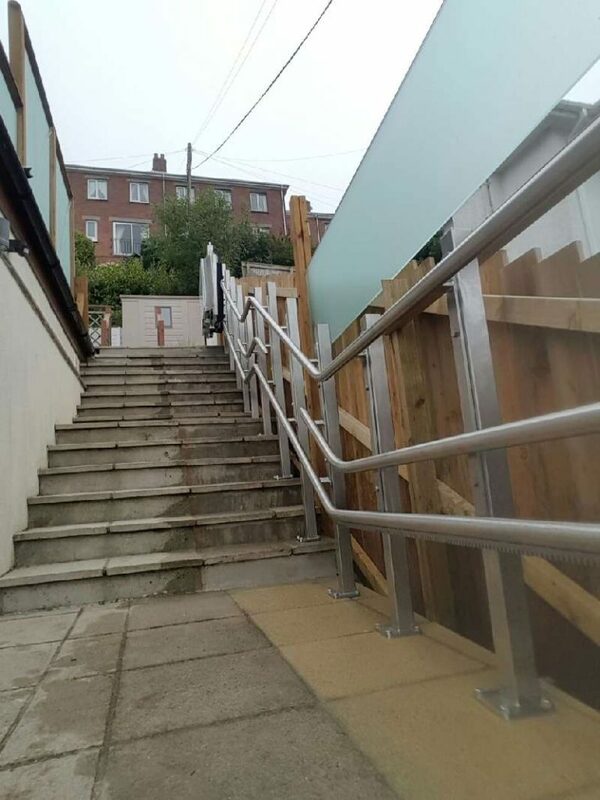 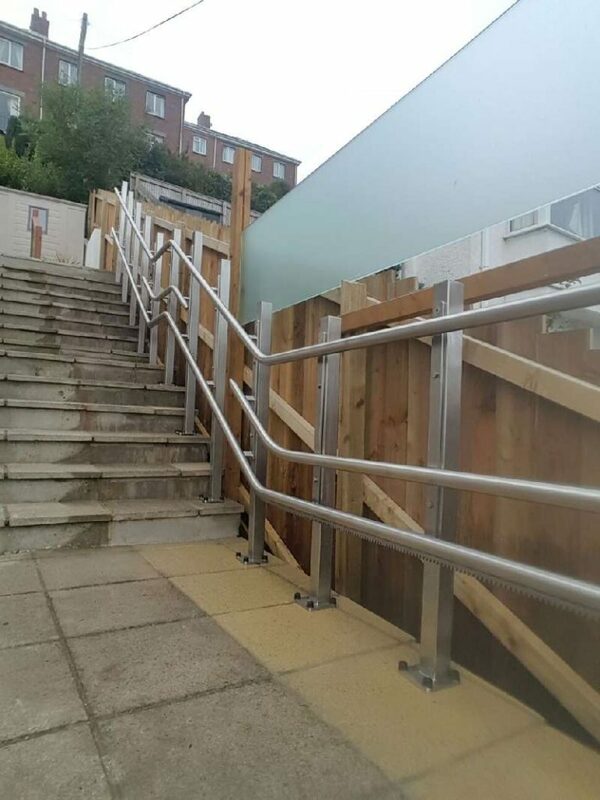 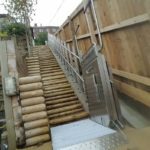 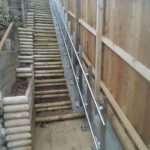 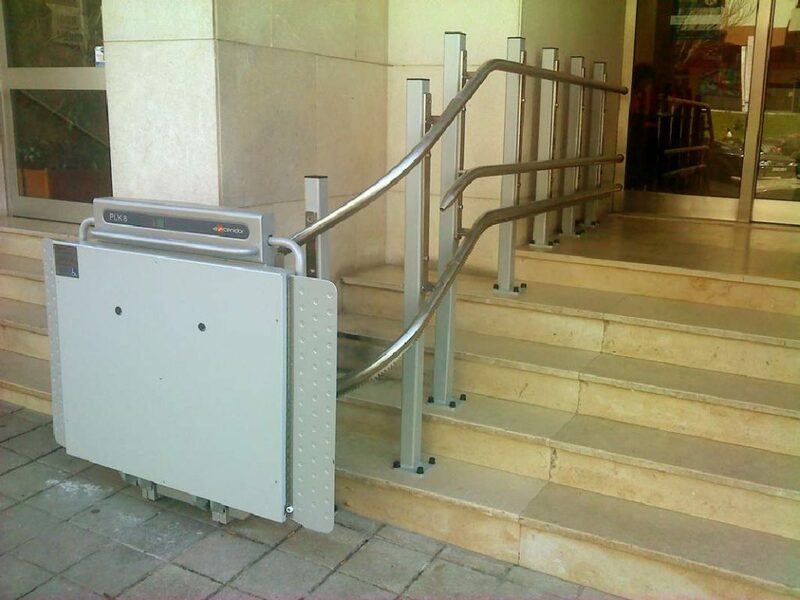 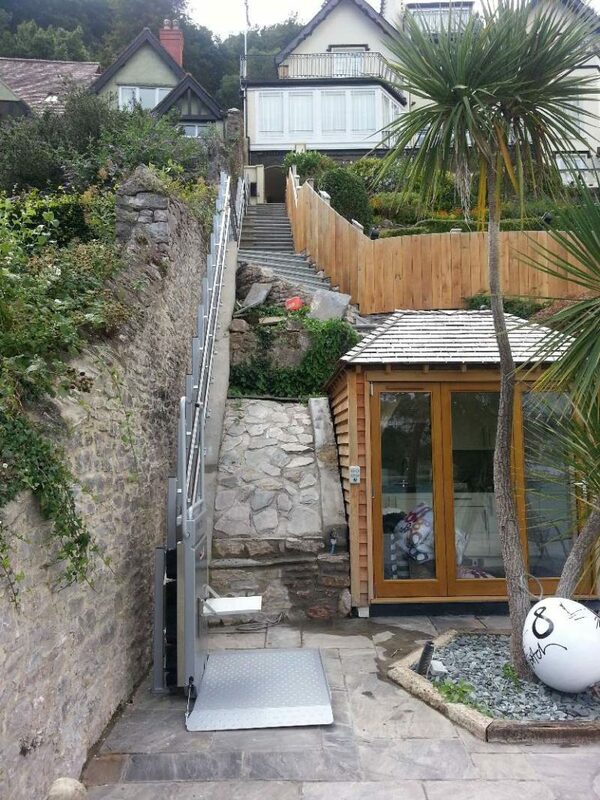 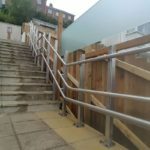 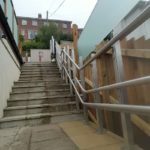 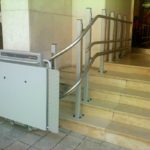 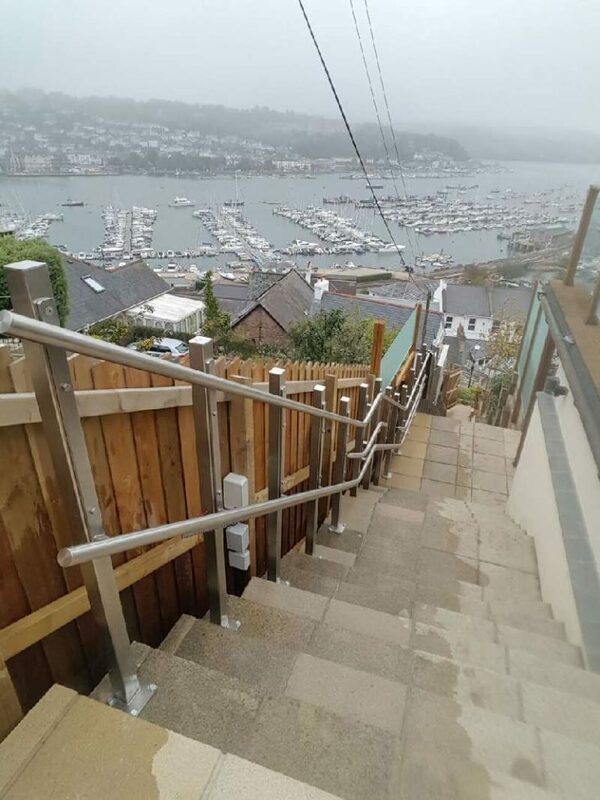 It runs on stainless steel guide tubes (the top tube can be used as a handrail). 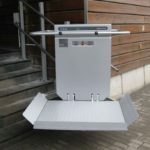 When the platform is folded away, the safety arms fold downwards to keep the unit as compact as possible. 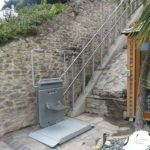 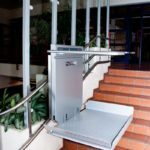 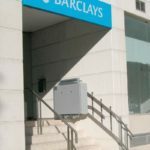 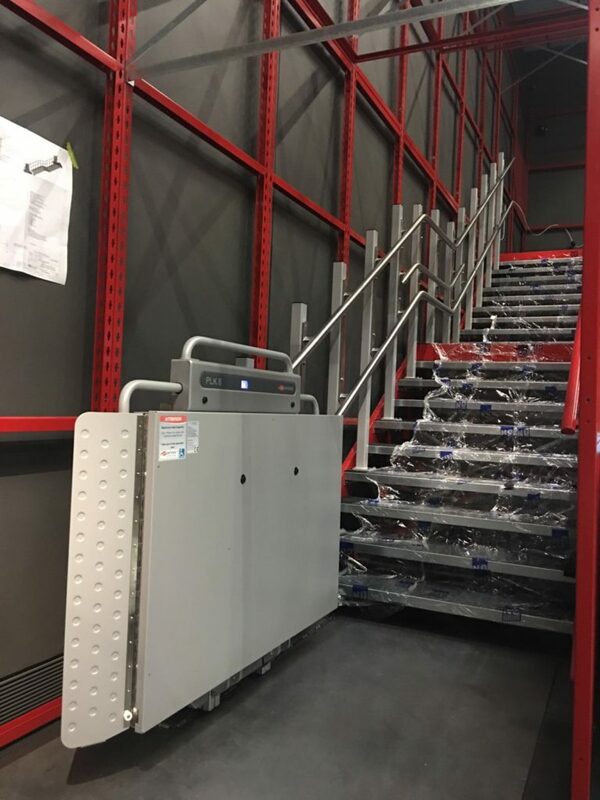 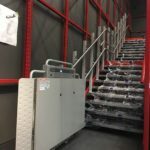 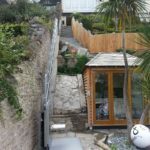 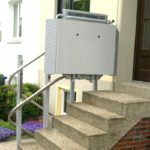 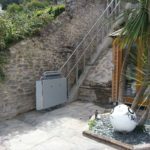 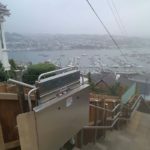 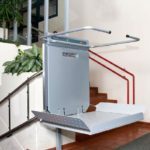 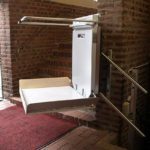 The lift runs from continually charged batteries meaning that it will continue to function even in the event of a power failure. 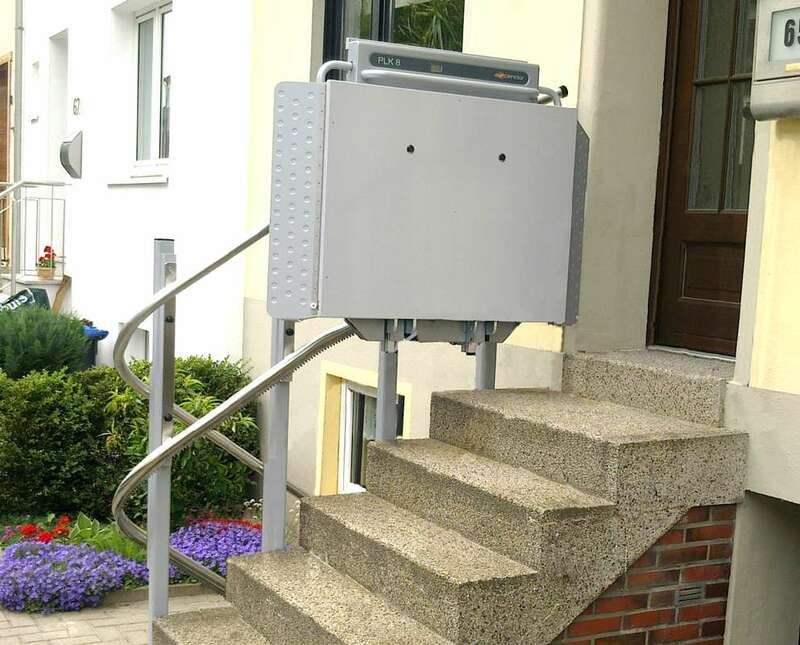 The operational buttons on the lift are touch sensitive and the landing buttons are wireless meaning that there is no need for unsightly cables or conduits. 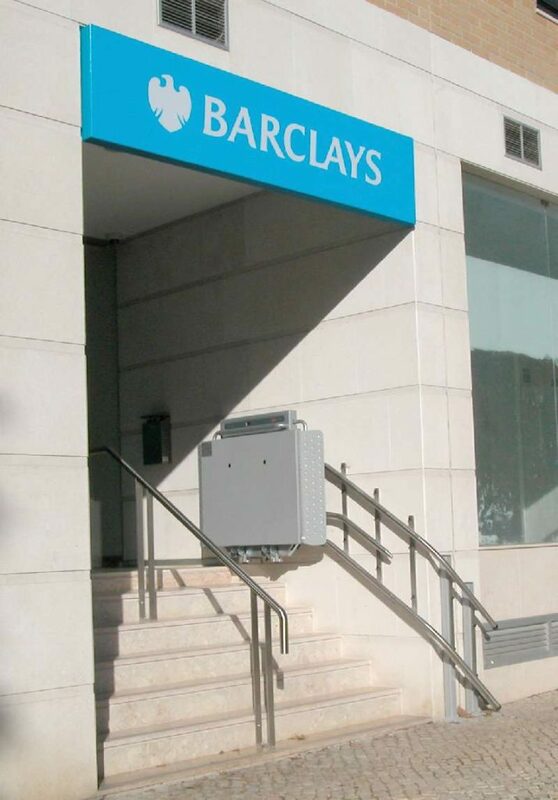 The on-board digital display unit provides a commentary on the operational state of the lift and provides the service Engineer with all of the information required in order to ensure trouble free operation. 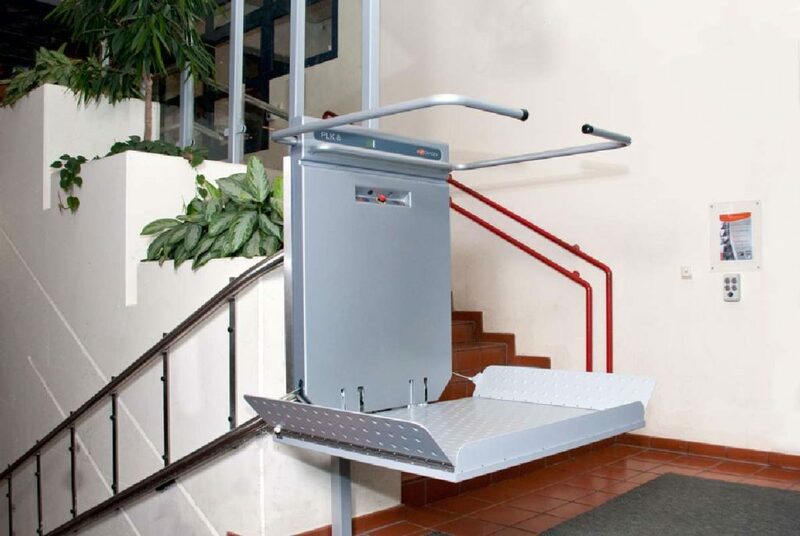 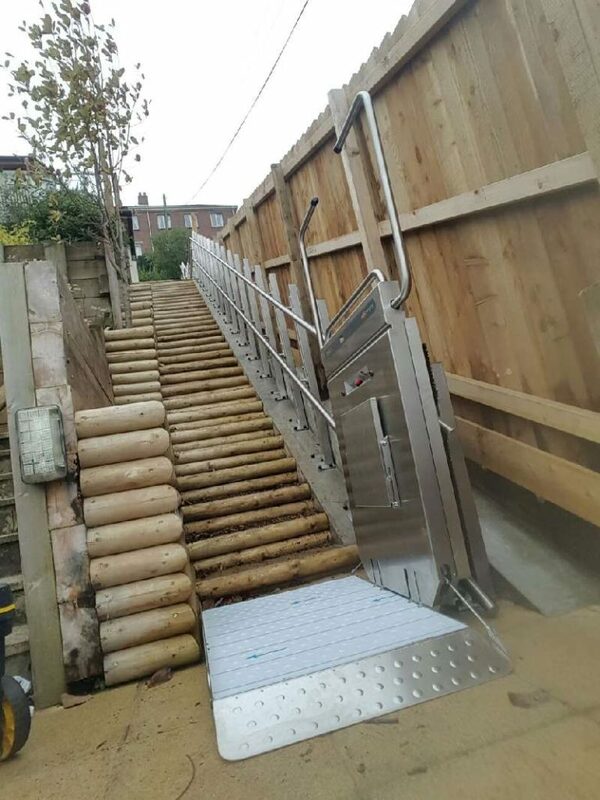 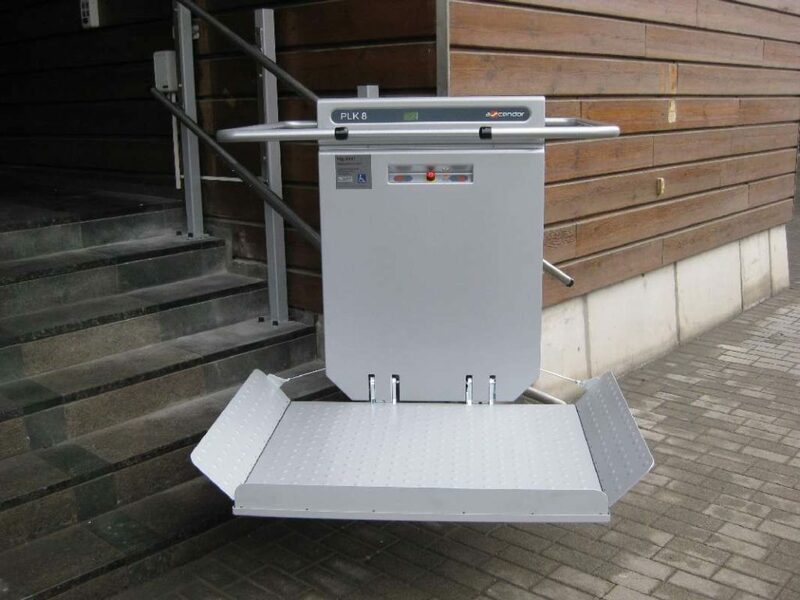 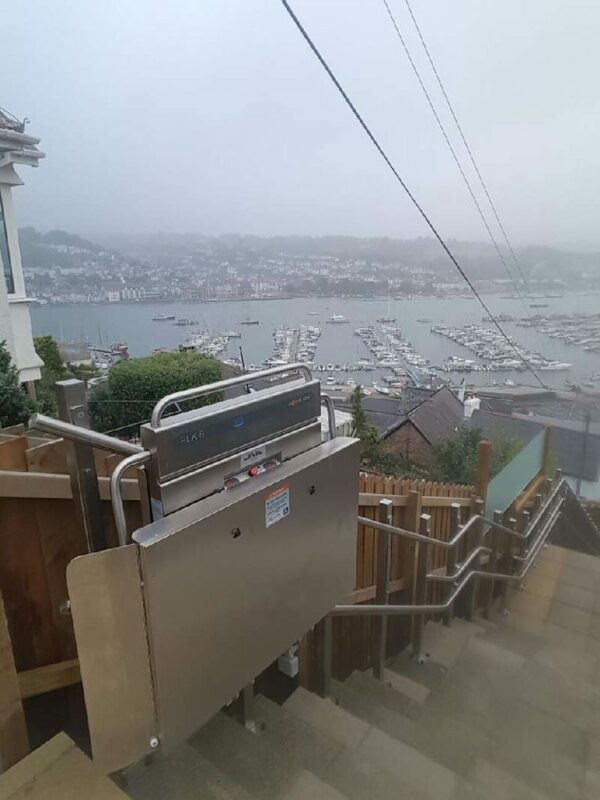 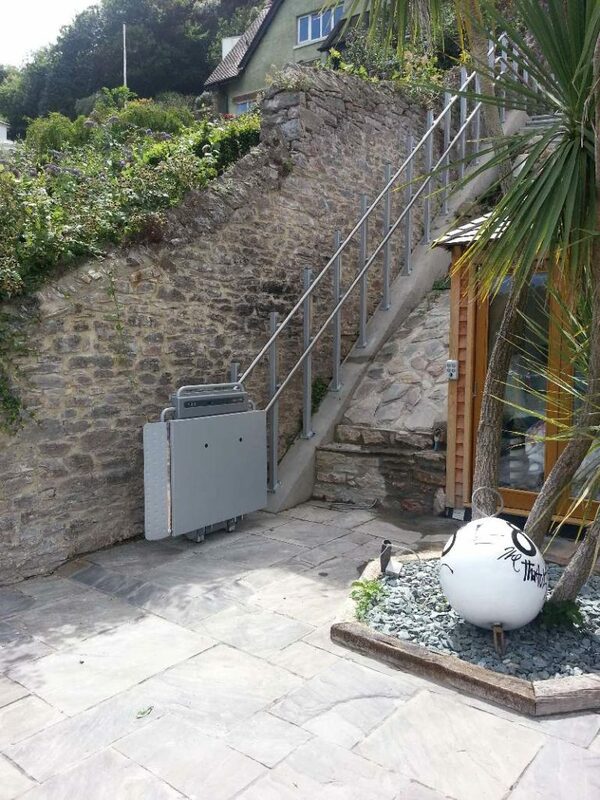 Available with a choice of platform sizes, finishes and lifting capacities (230kg or 300kg), the PLK8 leads the way in design and user friendliness.